Menagerie at Baby People, part of Out Front’s The Week. Photo by Edward H Kitchen. Out Front was brilliant! 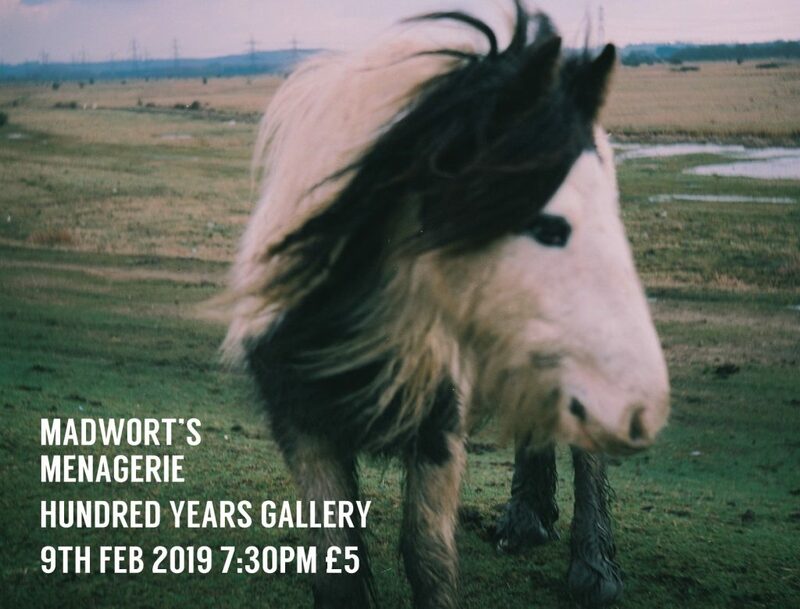 We had a great Menagerie gig, even though we had two deps (Alice Eldridge on cello, and Cath Roberts on bari sax depping for trombone) everyone rose to the music to great effect and the band felt like it really took a step forwards! This entry was posted in Menagerie on November 3, 2016 by tom. This gig was amazing, the band played the **** out of my tunes, and a really appreciative audience. 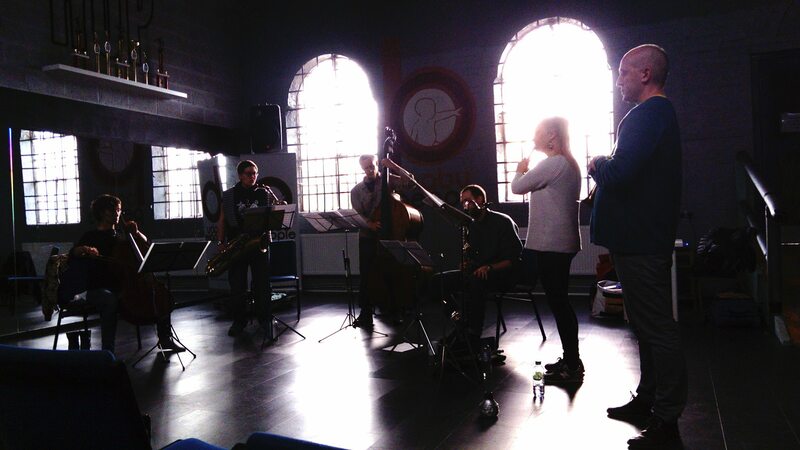 We also did another two gigs – Derby & London – playing Corey Mwamba’s New Dark Art with the Eb Sax Quartet (myself & Chris Williams on alto sax, Cath Roberts & Colin Webster on bari sax). The gigs were a bit different but equally great! This entry was posted in Depping, Menagerie on May 16, 2015 by tom. This entry was posted in Menagerie on February 13, 2015 by tom. This band’s first gig was at Jazz at the Salisbury way back in Sept 2012, I think the acoustic really suits this line-up so it should be a great gig. 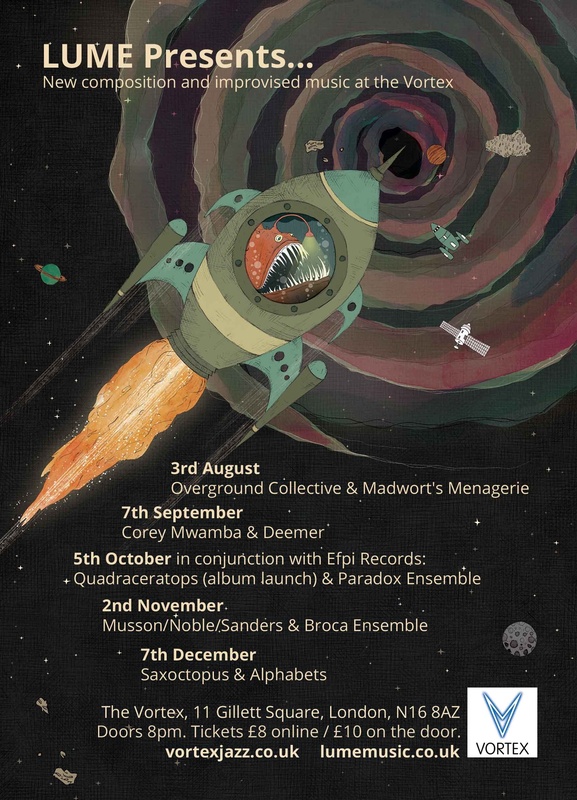 A return to LUME for Ti/om featuring Tim Fairhall on double bass and myself on bass clarinet, this time possibly with a special guest. 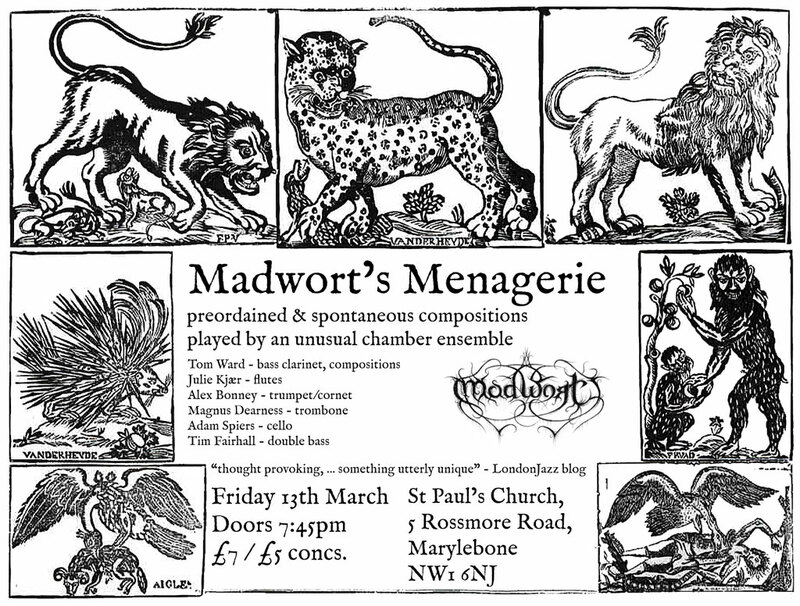 Part of a series of gigs Chris Dowding is putting on at St Paul’s church near Marylebone, I’m really excited to progress the menagerie band & compositions here and not at all phased that it’s on Friday the 13th… Oooo-eerrrr…. I’ll be substituting for the amazing Simon Prince in Anton Hunter’s large ensemble project Article XI. A brand-new trio project for 2015, featuring Sam Andreae on tenor saxophone, Richard Knight on no-input mixer & myself on alto saxophone, this unique line-up provides a fascinating palette for improvisation. Another new trio featuring Matilda Rolfsson playing a unique bass drum & percussion setup, alongside Tim Fairhall on double bass & myself on bass clarinet/flute. This group builds on and extends the sonic palette that Tim & I have been working on as Ti/om. This entry was posted in Depping, Menagerie, News, Sax Quartet, Ti/om, Upcoming gigs on January 14, 2015 by tom. We had a wonderful time playing the new Menagerie charts to a packed & receptive Vortex audience! This entry was posted in Menagerie, Review on August 16, 2014 by tom. This entry was posted in Menagerie, News, Upcoming gigs on June 20, 2014 by tom.